It begins—as my fantasies so often do—on an island in the South Pacific. For reasons best left to the imagination, I’ve been gifted a substantial amount of money, the sort of fortune that only comes from being the heir of a despot or besting a dragon. Bestowed with ludicrous wealth, I procure an uninhabited isle where the only possible visitors will arrive via shipwreck. It’s at this point that I start calling pet shops. I have a dream, and it’s this: to fill an island with every variety of black-and-white animal in existence, like a non-allegorical Noah’s ark but better, because I don’t have to learn carpentry or grow a beard. In this monochrome paradise I picture skunks, pandas, lemurs, blackneck goats, magpies and springer spaniels living side by side, somewhat puzzled but relatively content. 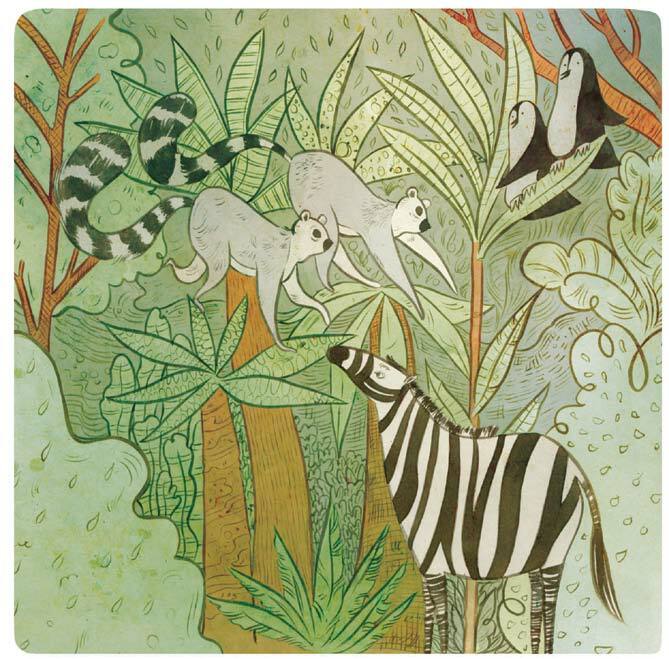 There are tapirs and zebras frolicking merrily by a lagoon, separated from their natural predators by an ocean and the colour yellow, while a group of penguins look out past the palm fronds, wondering if they’ve taken a wrong turn somewhere. A badger, rescued from the cruelties of a Conservative government, gnaws happily on a cottonwood borer beetle in his hastily-dug sett. In a nearby field cows graze in the sunshine, oblivious to what’s going on. A few guinea pigs run here and there, absolutely freaking out. There are undoubtedly better ways to spend a vast sum of money than my magnificent, deranged plan, but I can think of little that would give me greater delight than waking up, meandering around my own private islet, before having a spot of lunch and getting mauled by a white tiger in the afternoon. Published in Oh Comely Issue Nineteen. To read the original article click here.